The Center for Disease Control and Prevention (CDC), The Food and Drug Administration (FDA), and local health departments are investigating a multistate outbreak of fungal meningitis among patients who received potentially contaminated steroid injections into the spinal area or a knee, shoulder, or ankle joint. A voluntary nationwide recall of products has been issued and the FDA has released guidance for medical professionals to retain, secure, and withhold the recalled products and is requiring healthcare practitioners to follow-up with patients who received a steroid medication through an injection. To date, 23 states have received the potentially contaminated medications. Fungal meningitis occurs when the protective membranes covering the brain and spinal cord are infected with a fungus. This is rare and is normally caused by the spread of a fungus through blood to the spinal cord. Symptoms may include new or worsening headache, stiff neck, fever, slurred speech, nausea with or without vomiting, sensitivity to light, and altered mental status. 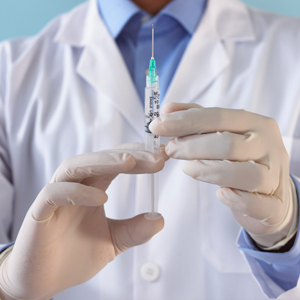 Onsets of symptoms typically begin between 1 and 4 weeks following the injection. Although this form of meningitis is not contagious, patients should be aware of the symptoms and report to a healthcare facility for evaluation as soon as a problem arises. As of October 23, 297 cases have appeared in 16 states, resulting in 23 reported deaths.